At one time, Corrie ten Boom would have laughed at the idea that she had a story to tell. For the first fifty years of her life, nothing out of the ordinary ever happened to her. She was an old-maid watchmaker living contentedly with her sister and their elderly father in the tiny Dutch house over their shop. Their uneventful days, as regulated as their own watches, revolved around their abiding love for one another. But with the Nazi invasion and occupation of Holland, everything changed. 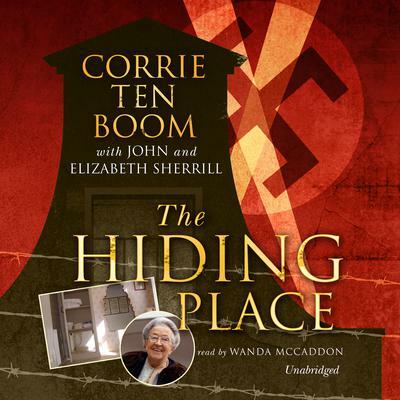 Corrie ten Boom and her family became leaders in the Dutch underground, hiding Jewish people in their home in a specially built room and aiding their escape from the Nazis. For their pains, all but Corrie found death in a concentration camp. Here is a story aglow with the glory of God and the courage of a quiet Christian spinster whose life was transformed by it. At one time, Corrie ten Boom would have laughed at the idea that she had a story to tell. For the first fifty years of her life, nothing out of the ordinary ever happened to her. She was an old-maid watchmaker living contentedly with her sister and their elderly father in the tiny Dutch house over their shop. Their uneventful days, as regulated as their own watches, revolved around their abiding love for one another. Here is a story aglow with the glory of God and the courage of a quiet Christian spinster whose life was transformed by it.